Cargo import & cargo export is highly dependent on the laws of different countries. The import and the export both depend on the laws of all the countries involved in the import/export procedures. 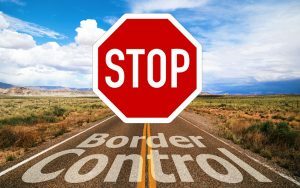 Because there are different rules what can be brought in or out of each country. Kokusai Express Japan is here to help you with all those complicated things. We offer to conduct everything during the cargo import & cargo export procedures. KSE has the tools, the equipment, and highly skilled professionals. With the experience and with the expertise of importing and exporting goods to or from any country around the globe. As a logistics company, we are here not only to deal with the procedures. But also to give you a hand with all other activities connected to shipping the cargo into the country, or shipping freight out of Japan. Before you enter cargo import & cargo export business, you should find out all about conditions you must fulfill to enter this market. Prior to getting to know all about procedures for importing and exporting cargo, you should know all about the licenses required. In case you want to outsource those activities, we are the right company for you. Given that we have all the licenses needed to conduct shipping to Japan or shipping from Japan. This is exactly why you should think about cooperation with us. We remove those difficulties out of your company. Assuring you that all the cargo will be imported or exported on time. So your final point of distribution will never have a trouble with the delay in delivery. Special government import/export regulations- Without knowing this, it is practically impossible to enter the export/import business. Customs clearance– Making sure your cargo will enter or leave some country, means having the know-how and the experience. Cargo import & cargo export documentation- The paperwork connected to the cargo shipping into or out of Japan is huge. 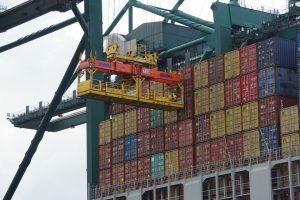 Securing the cargo- Without the proper insurance, not just the basic one, you could have big troubles in case something goes wrong. Arranging the warehouses– In particular, the most important thing here is securing CFS bonded warehouse for your freight. Transportation activities– Given that we are discussing importing and exporting the cargo, the most important sort of transportation here is cargo forwarding. Regulations, regulations, regulations… As we said, the cargo import/export business is not that easy at all. It takes a lot of knowledge to know what goods you can bring into Japan, and what are forbidden items. Besides this, you should know if there are some items needing special treatments during cargo export/import. There are several ways to get to know this. One of them is to read about Japan cargo import requirement. Another is to get in touch with the official institutions in charge of these activities. And the third one is to put all the expenses on the paper (including the opportunity costs given that getting to know all those pieces of information will take time) and decide whether or not it is worth to do it yourself, or is it less expensive, lot easier and much safer to outsource this and hire the logistics company to do it. The thing directly connected to the paragraph above. But with some additional skills required. Yes, knowing all about procedures for cargo import and cargo export is essential. But not enough. You should know also how to deal with the process of customs clearance. And how to do it in a manner of saving time. Being that saving time saves your money. Or prevents the loss because of the delay. So you want to know how long your cargo spends during the customs clearance, so you could decide when is the right time to ship your freight. If it takes longer, you shall ship the cargo earlier. Otherwise, you could ship it later. This also influences your production. And therefore increases or decreases the expenses you will be exposed to. Before all of this, you should get to know all about customs clearance in Japan, and in other countries, you might be exporting cargo from or importing cargo to. What is important to mention here is that the most of the aforementioned things you cannot learn from the books, reading the regulations or contacting the authorities. All of this is learned directly by the experience. Kokusai Express Japan has all the experience required. Shall you still wonder if you would hire us? Read on, this is just the beginning! 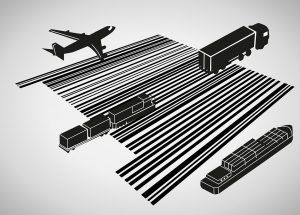 Commercial documents- Proving the value of cargo imported/exported. The shipping documentation- Required for your cargo to even be able to get shipped. All the financial documentation- To prove the origin of the money, and for other activities connected to the transaction between the buyer and the seller. The documentation required by the government- From the beginning of the article. All the documents every country requires for your freight to be imported or exported. The list of the documents from every sort we aforementioned is quite long. And although some of those documents are prepared by other participants in cargo import & cargo export procedures, you must know all about them. So you could check if everything is all right, and so nobody could trick you. Kokusai Express Japan offers conducting everything for you and in your name, in good faith, and with the desire for a long and successful cooperation. Which is how we conduct our business since the very beginning, decades ago. The most of you know that it is not possible to transport your cargo at all without having it insured. All the shipping companies are able to offer the insurance. But there is something else you should check. What are you insured from, and how big is the compensation, in case something unpredictable happens. We suggest you pay attention to this matter. Kokusai Express Japan, if you choose us to import or export cargo for you, will do everything to secure the maximum protection for you and for your cargo. Making sure that whatever happens you, as our client, are not hit by any of circumstances out of our control. There are different reasons why you could need a storage before you export your goods, or after you import them. In case you are using JIT (just in time) production process, you could have no a storage secured. Given that you would not need it. But in case your customers want to delay the delivery, or your employees surpass the production plan, you could have a problem. Because you could need the storage to keep your products safe until transported. Or your client sends you products you do not need immediately, so you would need to put them in some safe place until the need for them arises. Also, the bonded warehouse you will certainly need in any case. Have no worries. 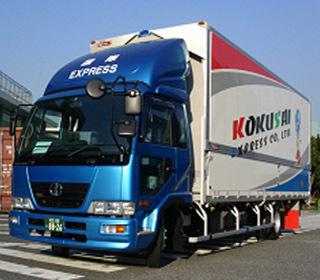 Kokusai Express Japan has a warehouse solution for all those issues. 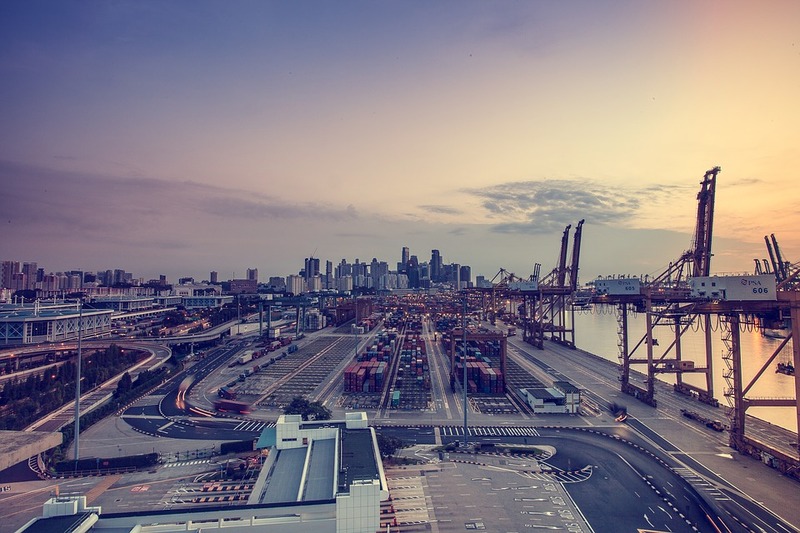 As a company committed to our clients, we implemented all the equipment, the facilities and the buildings necessary to conduct the cargo import & cargo export without the slightest trouble. This is probably what the most of the people consider to be the actual import/export of the cargo. But it is only one part of it. Probably the part taking the most time and money. This is why the kind of cargo transportation you choose will influence the most your overall costs. It depends on your needs too. Because, if you want your cargo to be exported or imported quickly, you could consider an idea of hiring international air freight forwarders. This way, you are making sure your cargo will never be late, no matter if you are dealing with cargo import or cargo export. But you would need to have enough money for this. Being that cargo forwarding by plane takes the highest budget. Otherwise, if you can plan the shipment long enough before you need to deliver the cargo to a foreign country, or before you need the cargo delivered from a foreign country, then shipping by sea could be the winning solution for you. It is cheaper than hiring freight forwarders by air. It is practical. And it is secure enough for your cargo. Hiring Kokusai Express Japan for your cargo import & cargo export, you get to choose the kind of international freight forwarding that suits you the most. Plus, besides the transportation within the export and import country, we also offer the transportation from the import place to the address you require. And from your address to the place where your cargo is loaded onto the plane or ship. Providing a real door-to-door cargo import/export service. Also, you can track your cargo any time you like! Kokusai Express Japan takes care of your cargo safety while imported or exported, making sure that all the job is done timely, and at an affordable price! We do not assert that we are the company that conducts the transportation the fastest. But we certainly transport your cargo on time and without the delay. Also, we do not vouch for being the cheapest cargo forwarding company in the world. Although, we do claim to be the most affordable logistics company, probably worldwide, comparing to the quality of services we provide. Our experienced and skilled staff can guarantee you the comfort when conducting the export/import business using our logistics. That comfort implies the certainty that your cargo will reach the destination in the agreed time, and in the perfect condition. It means you shall have no worries in case you put your cargo in our safe hands. We tend to prevent all potential troubles. Not leaving anything to a good fortune. Also, putting aside the expertise, we invest very much in employing only decent and polite people. The relationship with our clients means very much to us. And we tend to make our clients feel nice while having your cargo imported or exported. Because, after all, the business is important. But having a nice and natural relationship is what keeps people satisfied. It comes as an extra, to all of our services. Pick Kokusai Express Japan to be your logistics company for cargo import and cargo export. Join the big team of our satisfied clients. We are looking forward to having the possibility of satisfying and exceeding your needs.